The Modern Records Centre holds key sources on British political history. We also hold many published and unpublished sources regarding political ideology (particularly of the left). Like most archives, we have little very recent material - it usually takes several decades for organisations and individuals to consider passing their papers on to an archive. If you are studying an aspect of politics after circa 1990 (i.e. post-Thatcher), you will therefore find limited sources. If you are researching 20th century politics pre-1990, you may find unique and relevant archive material on campus. More than 40 documents relating to British politics between 1884-1989 have been digitised and put online for the PAIS module Governing Britain. A brief guide to other archives relevant to the study of politics over the past hundred years is given below. If you would like any more information about our holdings, try searching our online catalogue, book an introductory session with a member of staff, or contact us. The MRC has the archives of the Confederation of British Industry (CBI) and the Trades Union Congress (TUC), pressure groups which act on behalf of businesses and workers, both of which have had contact with the inner workings of government and party politics. The CBI archive includes records of the organisation's lobbying of the government, particularly on economic issues. This includes correspondence and reports of meetings with the Prime Minister, Chancellor of the Exchequer and other key members of the government - some examples of files which refer to dealings with the Prime Minister are listed here. The collection also includes material on key political and economic issues, for example monetary policy, membership of the Common Market / European Union and industrial relations. The TUC archive also includes records of meetings and correspondence with government departments on a range of issues, including economic and social policies, foreign policy and industrial relations. An example of a TUC report on a 1980 meeting with Mrs Thatcher about the government's economic policies and unemployment is available online. Due to the trade union movement's close historic relationship with the Labour Party, the TUC archive contains some internal Labour Party documents, including a series of minutes of Labour's National Executive Committee for 1923-1989, minutes of the Labour Party Home Policy Committee for 1932-1991, and minutes of the Labour Party Finance and Economic Affairs Committee for 1971-1982. The archives of Jim Mortimer, General Secretary of the Labour Party between 1982-1985, also contain material relating to the Party's internal affairs, particularly from the divisive period of the early 1980s. These collections can include files regarding work on parliamentary committees and constituency correspondence covering a wide range of issues - including social welfare, Northern Ireland, abortion law reform, relations with Europe and immigration. Searchable transcripts of radio broadcasts and audio recordings of diary entries by Richard Crossman are available online. The MRC is the main place of deposit in the UK for trade union archives and, as well as internal union business, these can include material relating to campaigns to support or change government policies - particularly on issues such as education (teaching unions), health and welfare (public service unions), privatisation / nationalisation or public sector spending / cuts. Nationally significant collections of archives on the British far-left are held at the Modern Records Centre - in fact we are the main location of Trotskyist archives in the UK. Our Trotskyist collections date from the 1930s-1990s and relate in particular to Militant Tendency (now the Socialist Party), the Socialist Workers Party (formerly the International Socialists), and the International Marxist Group (later Socialist Action). The archives of these organisations, and of the individuals involved with them, include policy documents, publications, correspondence, and ephemera such as leaflets and posters. One of the key debates within the Trotskyist groups was on the idea of entrism - should activists enter existing political parties with the intention of using grassroots pressure to radicalise party policy, or should campaigning be done through a separate political party? This debate came to its height during the 1980s, with the "purge" of members of Militant Tendency from the Labour Party, including MPs and councillors. A guide to the various Trotskyist groups and the archives that we hold is available elsewhere on our website. Archives of Wayne Ashcroft, former Regional Organiser of the National Front, are held at the Modern Records Centre. These include internal material relating to the National Front and British National Party, and far-right and neo-Nazi publications from (in most cases) the late 1970s-1990s. Publications and ephemera produced by far-right organisations and anti-fascist groups are included in various other collections. Many of these can be identified by searching our catalogue for key terms such as 'National Front', 'British National Party', 'Anti-Nazi League', 'anti-fascist', etc. The MRC has several small collections of publications - mostly newspapers and 'zines - produced by anarchist groups during the late 1970s-mid 1980s. Links to these and information about other anarchist material that we hold is included in a guide elsewhere on our website. Some of the publications relate to urban guerrilla groups of the 1970s, including the Stoke Newington Eight / Five / Angry Brigade and Persons Unknown in the UK, and Baader-Meinhof / Red Army Faction in West Germany. The Green Party was founded in Coventry in 1973 as 'People' (the name was changed to the Ecology Party in 1975 and the Green Party in 1985). The MRC holds a small amount of material relating to the early years of the Party during the 1970s, including policy statements and publicity material. 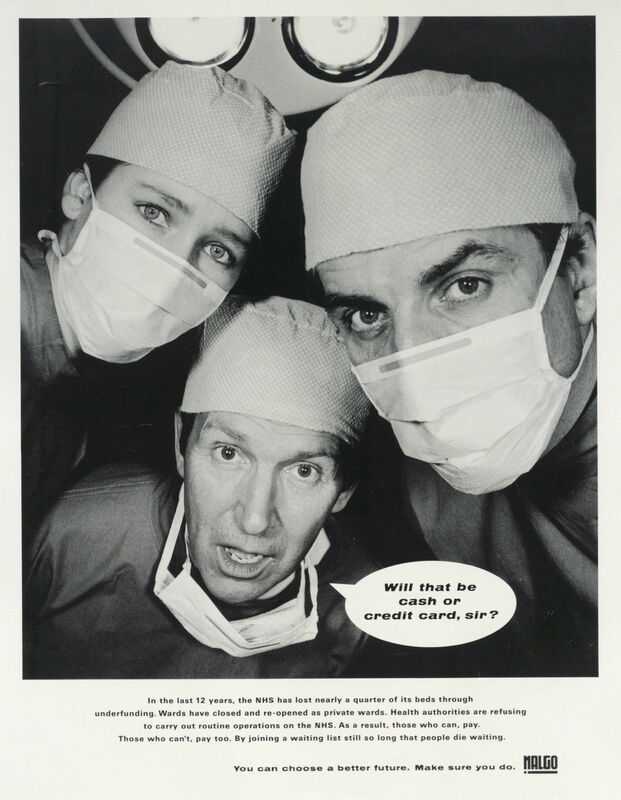 The MRC holds the archives of Peter Wilkinson, former Director of Greenpeace. This collection includes material relating to various environmental campaigns carried out by Greenpeace and other organisations, particularly relating to nuclear power and mining in Antarctica. Small amounts of publicity material and ephemera from environmental campaign groups are included in several other collections. These can be identified by searching our catalogue for key terms such as 'Green Party', 'ecology', 'Friends of the Earth', 'Greenpeace', etc. Material relating to broader environment issues, particularly the debate over nuclear power, can also be found through the online catalogue. The MRC holds a range of sources on feminism and the role of women in politics and society. We hold a small amount of material relating to the campaign for equal political rights - this 'ready-made' search of our catalogue highlights much of the material that we hold on the women's suffrage movement of the early 20th century. 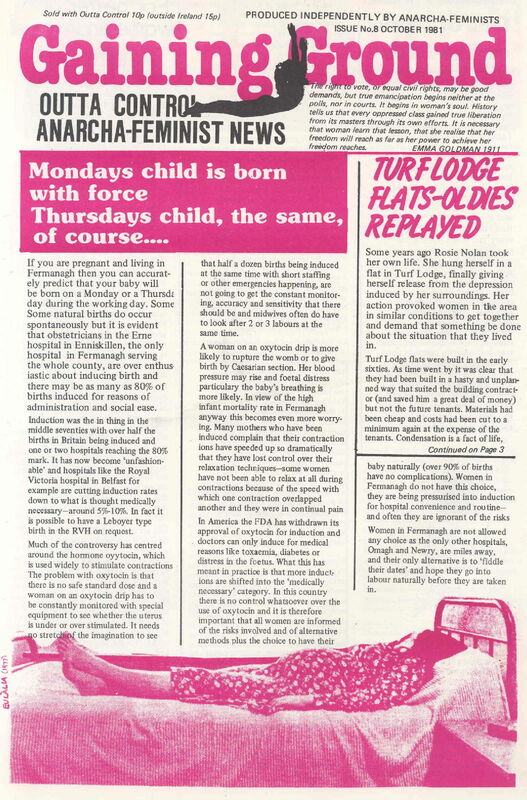 Material on second wave feminism, particularly newsletters, 'zines and ephemera, is included in various archive collections. You should be able to identify some relevant sources by searching our catalogue for key phrases such as women's liberation and feminism / feminist. A small number of documents on feminism and women's rights c.1979 have been made available online through our module resources for Making History. Six issues of Cobwebs, a 'zine produced by the Women's Journal Society of the University of Warwick Students' Union between 1986-7, are available online through our collection of digitised student newspapers. Many of our archives come from trade unions and employers' organisations (for example the Trades Union Congress and Confederation of British Industry), so there is a strong core of material relating to campaigns for (and against) equal economic rights for women. There are a LOT of potential sources for this, so if you have a particular research interest let us know, and we'll try to provide you with some more pointers. Archives relating to the Campaign for Nuclear Disarmament (CND) include sources on Greenham Common, the women's peace camp of the 1980s, including material debating the policy of separatism. Our research guide on sources for pacifist history contains links to the main CND collections, and you should be able to find additional material through searching our online catalogue for key terms such as Greenham. A small number of documents have been digitised for the History module 'Feminism, Politics and Social Change in Modern Britain' - these date from 1879-1936. Archives relating to many single issue campaign groups are held at the MRC. 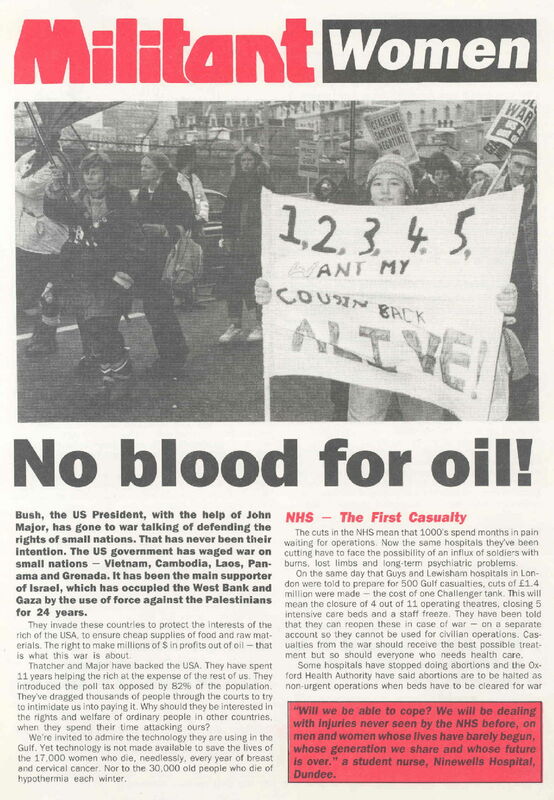 These include collections of material from the Campaign for Nuclear Disarmament (CND), Amnesty International, Howard League for Penal Reform, Radical Alternatives to Prison, Anti-Concorde Project, Leamington Anti-Racist, Anti-Fascist Committee, Make Poverty History and the Tariff Reform League. Other campaigning publications and ephemera can be identified through our online catalogue. The Modern Records Centre's collections contain key sources regarding one of the main questions of British foreign and economic policy since the Second World War - what should Britain's attitude be towards European integration? These include documents from the 1940s regarding campaigns for a united Federal Europe, responses to the formation of the European Coal and Steel Community (without the UK) in the 1950s, Britain's negotiations to join the Common Market in the 1960s and 1970s, the referendum on Britain's membership of the European Economic Community in 1975, and campaigns for a second referendum and Britain's withdrawal from the European Union in the 1990s and 2000s. A research guide which provides more information about archives relating to the UK and Europe is available elsewhere on our website.